Are you itching to experience the natural beauty of mountainous northern Georgia? Visitors from near and far flock to the alpine village of Helen in order to hike through the hills and forests, viewing waterfalls and other natural wonders, and enjoying up-close-and-personal experiences with flora and fauna that are native to the area. Located just a stone's throw away from the center of town, Unicoi State Park is a hot spot for vacationers looking to hit the Helen hiking trails. The 1,050 acre park offers outdoor enthusiasts the opportunity to trek across a variety of trails, suited to hikers of all experience levels and abilities. Whether you go alone or with a group, you will quickly see why this park is a favorite among Helen's attractions. As one visitor said, visiting Unicoi State Park is "a must in Helen". This stunning park, located in northern Georgia, covers an area of 1,050 acres. Within it's perimeter there is no shortage of activities to be found. 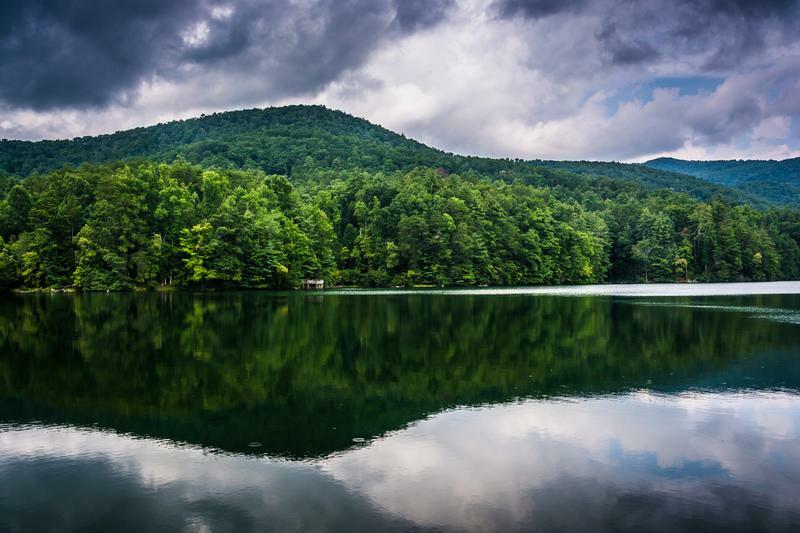 You can swim in the cool waters of the Unicoi Lake or glide across the surface by canoe. The park is also an ideal location for wildlife viewing, family picnics and star gazing. Additionally, there are 8 miles of hiking trails in the park with varying levels of difficulty and each with their own unique attributes. 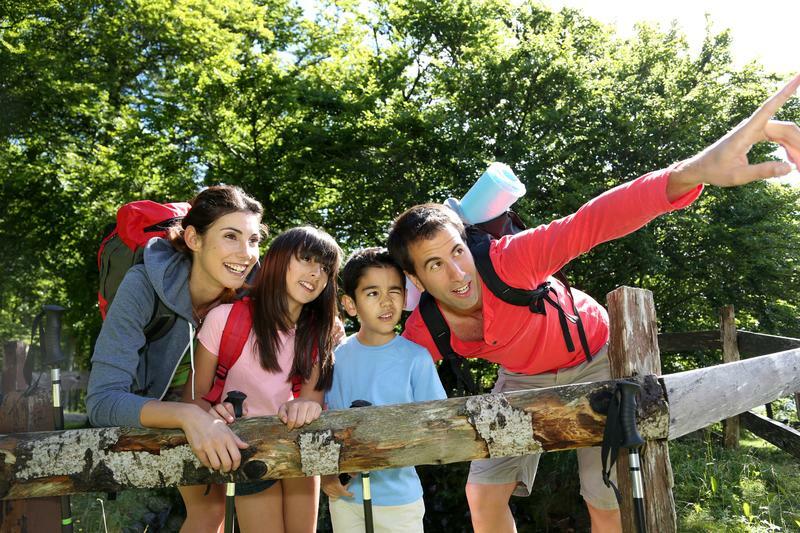 With all of these choices, Unicoi State Park will certainly please any outdoor enthusiast in your family. The following guide will provide you with all of the information you need in order to choose the right trail for you and your group, and to have an unforgettable hiking experience at Unicoi State Park. For hikers who don't have much time, or wish to learn more about the park's plant an animal life before embarking on a longer excursion, Frog Pond Nature Trail is perfect. Being just 1/3 mile long, the loop trail which circles around Frog Pond can be hiked in a mere 25 minutes. At various intervals, you will find interpretive signs and identification placards which help you to identify various types of trees, flowers, and animal habitats. 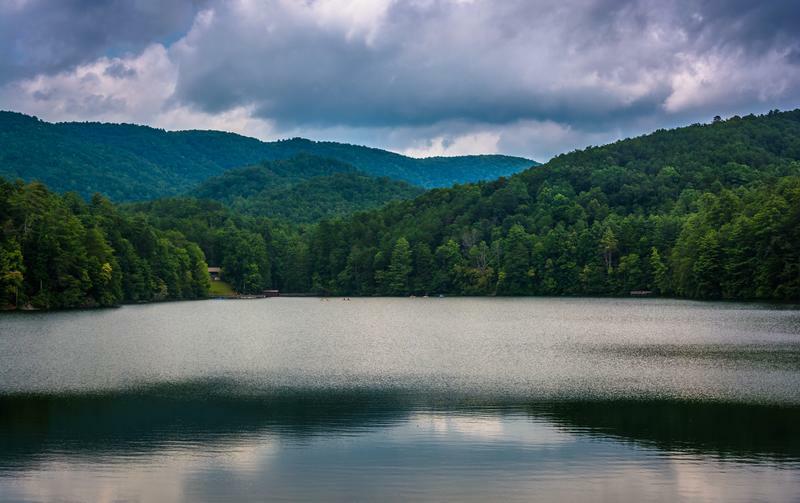 Lake Trail is one of the more popular Helen hiking trails because of the fact that it offers such spectacular views of the 53-acre Unicoi Lake. The 2.5-mile loop trail is flat, compact, and easy to hike. Plan to spend approximately 2 hours on this path. Although not technically a part of the Unicoi State Park system, Anna Ruby Falls Trail is one of the most heavily traversed Helen hiking trails each year. That's because this path leads to a rare double waterfall, offers stunning scenery all throughout the year, and is quite easy to traverse. The trail itself is only .8 miles long, is paved, and is handicap accessible. The Continuous path will lead you across Smith Creek, and numerous benches are available should you find the need to rest, or to simply enjoy the wooded atmosphere. You'll eventually reach a series of viewing platforms where you can take photos of the falls, which are formed by Curtis and York Creeks, originating in Tray Mountain. If you're hoping to get some good exercise while still having the energy to stop and smell the roses (or, in this case, rhododendrons, mountain laurels, and hemlocks), Bottoms Loop Trail should be your top pick. You'll want to set aside about 1.5 hours in order to complete the journey around this 2 mile loop. You'll follow a dirt path through the low-laying foothills of the northern Georgia mountains, crossing Smith Creek multiple times, in addition o passing the remains of an old homestead, and simply enjoying the natural scenery around you. Would you prefer to hike into Unicoi instead of driving? Although the terrain of Unicoi/Helen Trail isn't especially difficult, the length of this 3-mile (one-way) trip has earned it a rating of "moderate to strenuous". 4 hours should be set aside in order to complete the 6-mile round-trip. The trail takes hikers from Unicoi City Hill Park in Helen to the Bottoms Loop Trailhead and back, crossing streams and passing through strands of wildflowers along the way. Seasoned hikers will get their kicks on Smith Creek Trail. At 4.8 miles long (one-way), the entire 9.6 mile trek will take approximately 6 hours to complete. The beautiful path is known for offering visitors the opportunity to enjoy the wooded areas of northern Georgia, spot native wildlife in their natural habitat, to experience the rushing headwaters of Smith Creek, and to enter into the Anna Ruby Falls Recreation Area. 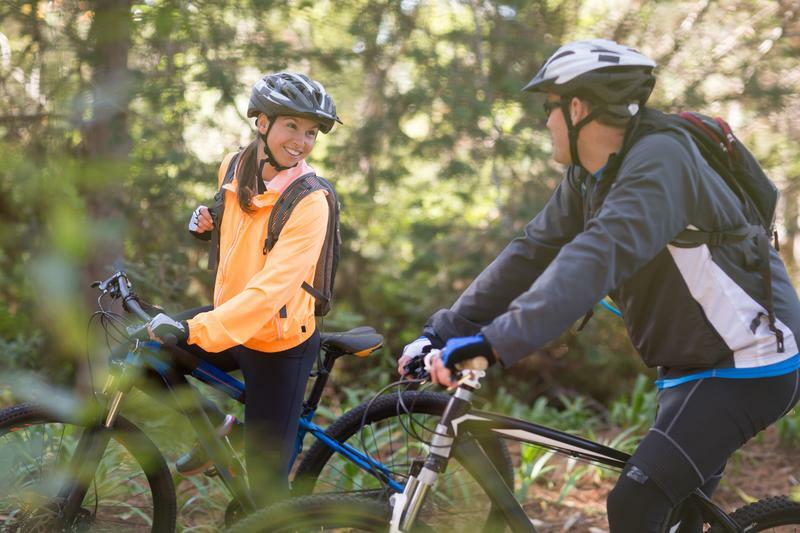 If you prefer to embark on a mountain biking excursion, Unicoi's own Mountain Bike Trail will offer you a scenic challenge. At 7.5 miles long, this loop trail takes 2.5 miles to complete, and will take you over moderate to strenuous mountain terrain to get your adrenaline pumping. There are plenty of spectacular scenic overlooks where you can stop and catch your breath - if you need to. 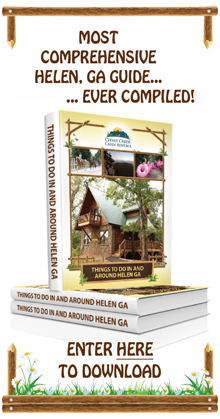 Visiting Helen GA attractions is great at any time of the year and the same goes for Unicoi State Park. Each season has it's own beauty to offer. However, the most calm season of all is Autumn. During September and October the temperatures are comfortable, resting from the high 70's to lower 80's. It is also the driest time of year, which makes it an ideal time for being outdoors. In addition, the brilliant fall colors can be seen in full view within the forest at Unicoi State Park. Unicoi State Park sits directly north of Helen GA. Leaving Cedar Creek, the park can be reached in a matter of minutes by heading southwest on Zeppelin Strasse and then taking a right on Bahn Innsbruck. Unicoi State Park is on the left hand side of the road and continues to follow Bahn Innsbruck until it intersects with highway 356. Turn left onto highway 356 and in approximately half a mile you will see the campground entrance and Unicoi Lake on your right. From there, you will be able to locate the trail head of your choice or simply relax by the water. With the many Helen GA attractions to choose from, you can't go wrong with a visit to Unicoi State Park. No matter when you go, you will be glad you made the trip. When you get there, will you prefer resting beside the lake or challenging yourself on a hiking trail? Which trail will you tackle first?